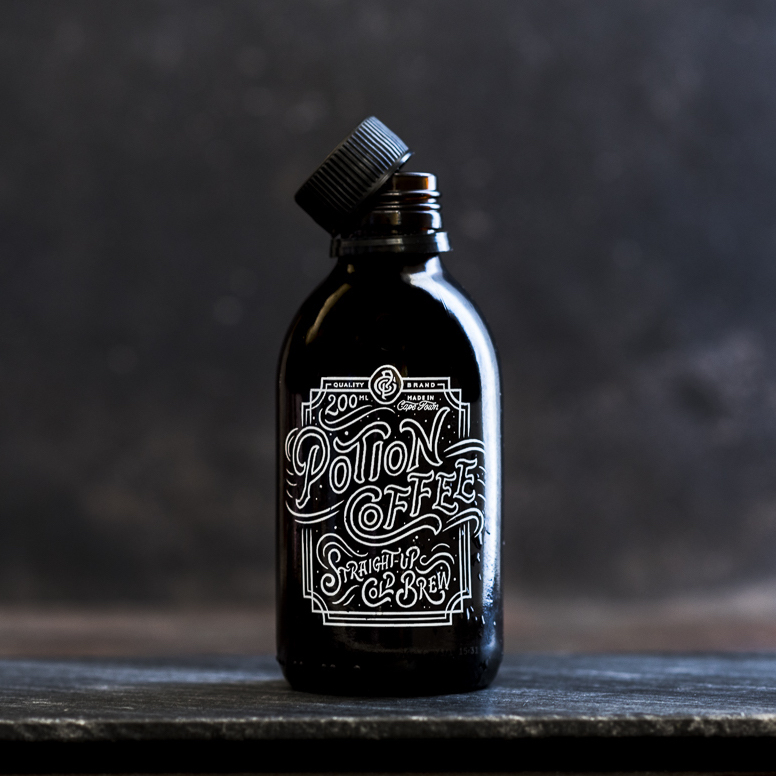 Potion Cold Brew is artisanally roasted coffee steeped in cold water for up to a day served straight-up in a bottle. Making cold brew is easy. We've tested coffee from all the growing regions of the world and found a blend that is just right for cold brew. H2O is an essential part of the coffee tradition. We steep our grounds in cold water for nearly a day, which extracts all the subtle flavours that a coffee has to offer, without adding bitterness. We've put a lot of hard work and experimentation into making Potion the best cold brew it can be. But one thing above all pushes us to keep making it every day: we love drinking it!